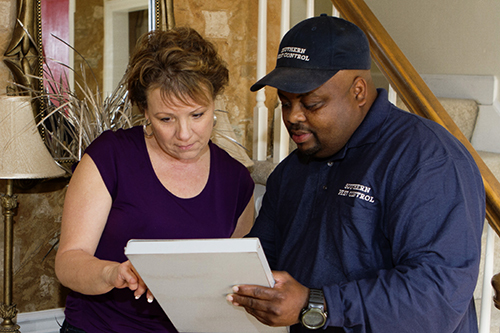 Sovereign’s Houston Pest Control is committed to offering the homeowners of Houston, Texas highly effective, family-friendly pest management and exterminating services. Weather you have a Termite, Ant, Spider, Flea, or Mice issue, our Houston Pest Control team of reliable skilled exterminators will solve your problems. At Sovereign our Houston Pest Control exterminating services are custom-tailored to fit your pest control needs and are performed by expert technicians who are certified and registered by the Texas Department of Agriculture. Our Houston Pest Control Technicians continue training in pest identification, Integrated Pest Management (IPM) techniques, and the safe effective application of pesticides designed for the most effective control of the targeted pest infestation. Sovereign’s Houston Pest Control exterminators also offer pest management and exterminating services to homeowners residing in Harris County, Montgomery County, Fort Bend County and Brazoria County. Whether you have an active infestation, or if you just want peace of mind that your home, family and pets are protected, call today to speak with one of our Houston Pest Control specialist. Receive a quick, no-obligation quote at no cost. Learn more about our Houston Pest Control exterminating Services that include a 100% money back guarantee. Refer your Houston friends, family and neighbors and save on your service. Ask about the $50 discount off yearly service for every referral that becomes a service plan customer. All you have to do is submit the information on the referral form.